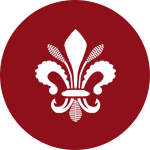 Our spacious and bright rooms have been recently refurbished. 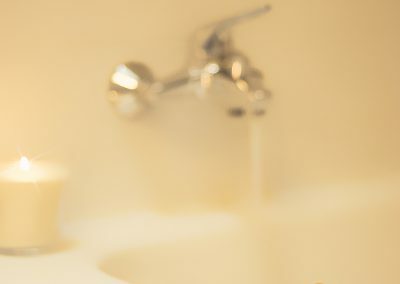 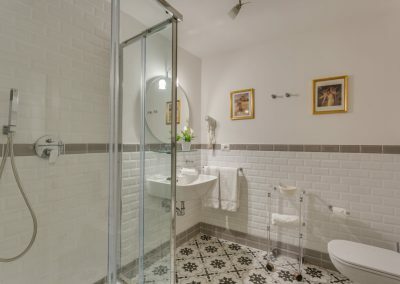 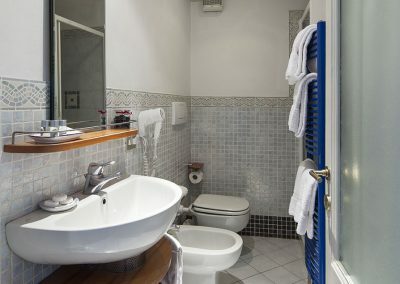 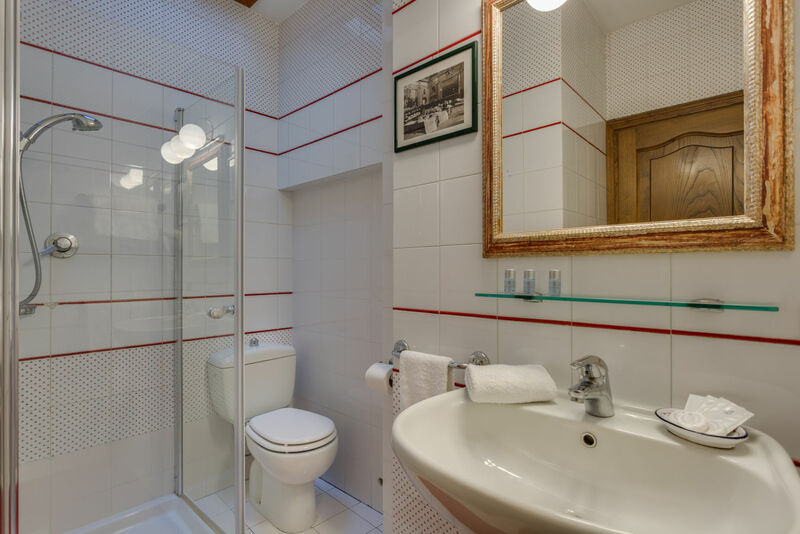 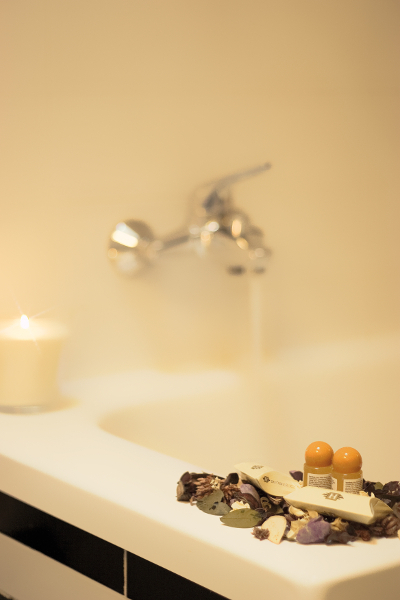 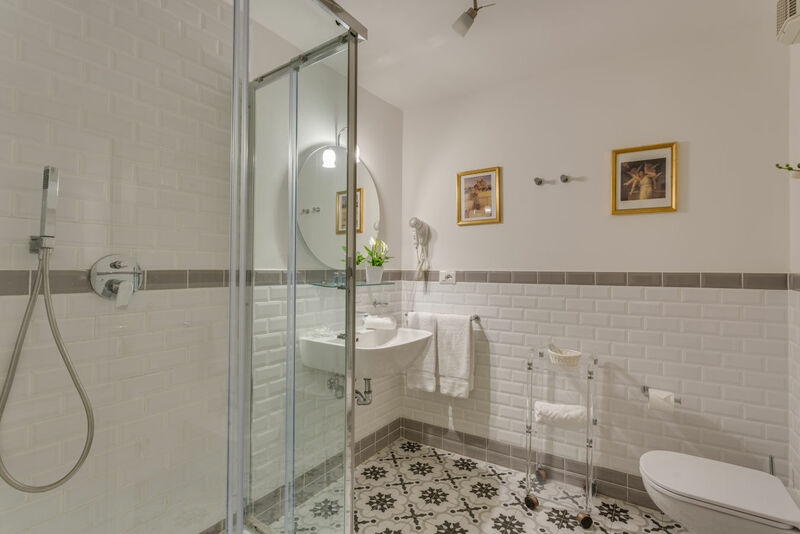 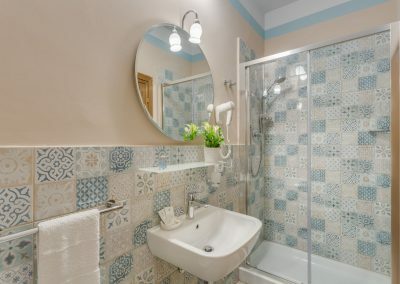 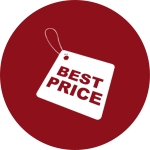 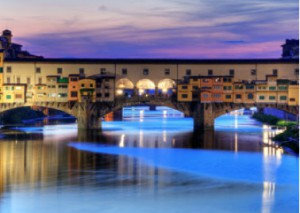 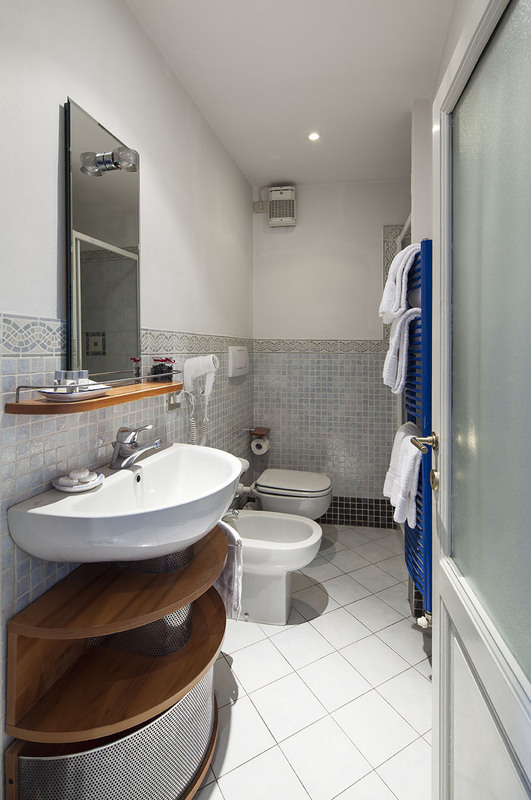 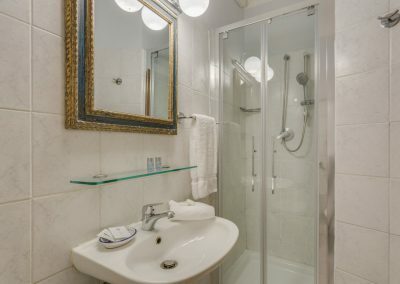 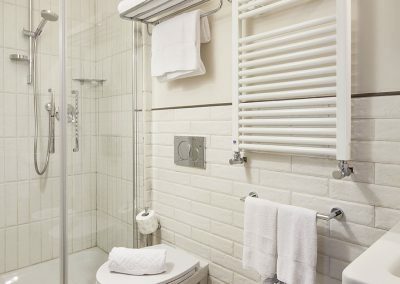 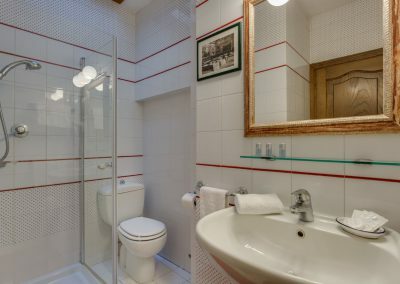 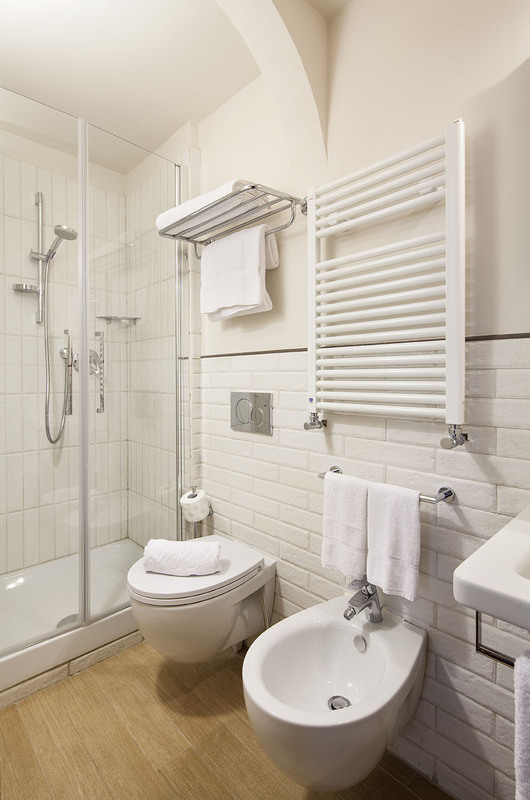 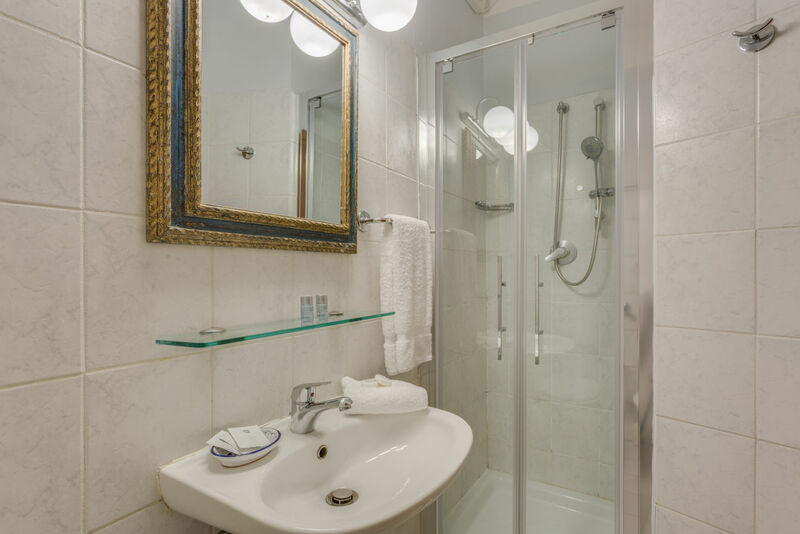 All with private bathroom with shower cabin, hair dryer and small courtesies. 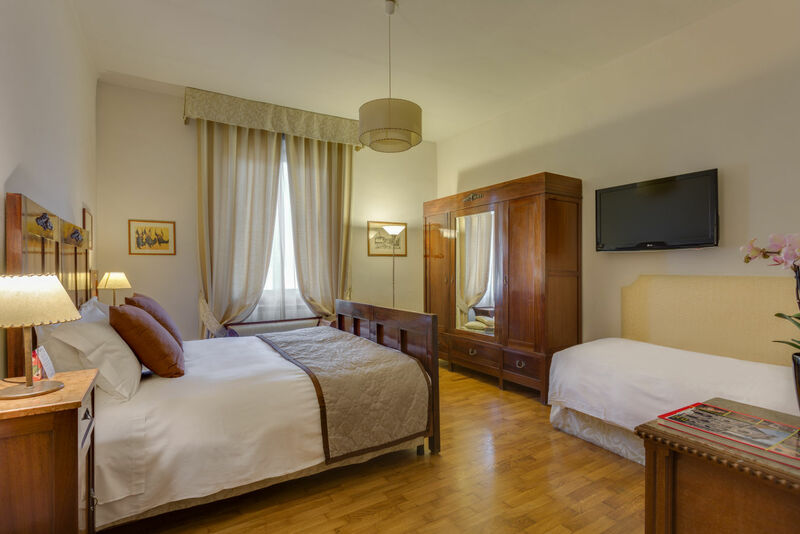 They are equipped with individually controlled air conditioning, free unlimited WiFi and a 30”smart TV. 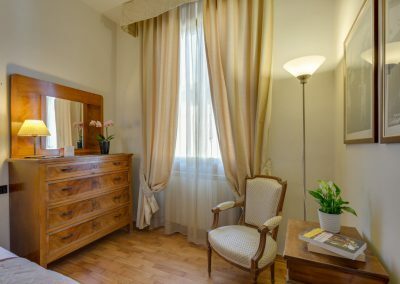 If interested we can offer a mini-apartment solution for 4-5 people. 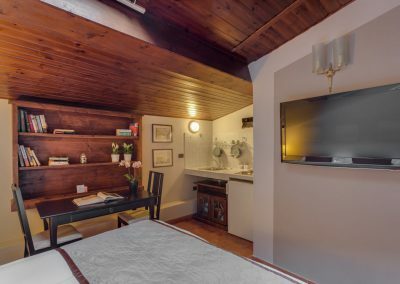 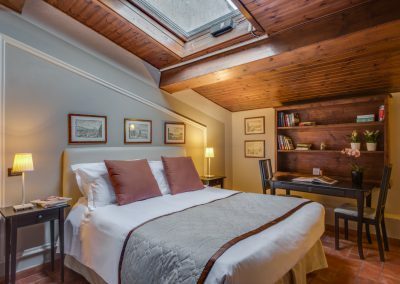 An intimate and independent space obtained from two communicating rooms, one of which as a cosy attic with a wood-paneled ceiling and a kitchenette with a small fridge. 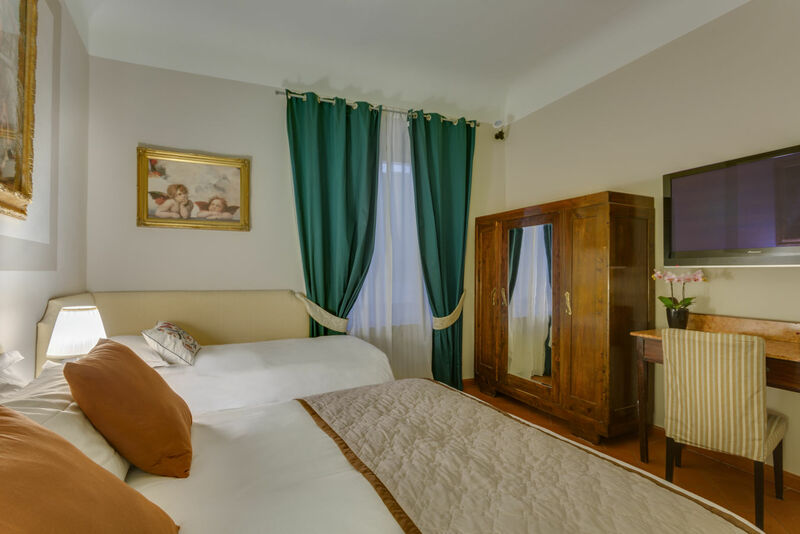 A small atmosphere apartment where you can spend unfogettable moments far from the buzz of the city. 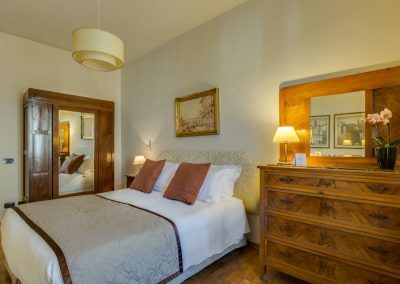 The superior rooms are our largest rooms with a corner set up with a comfortable sofa, as an extra bed for the third person. 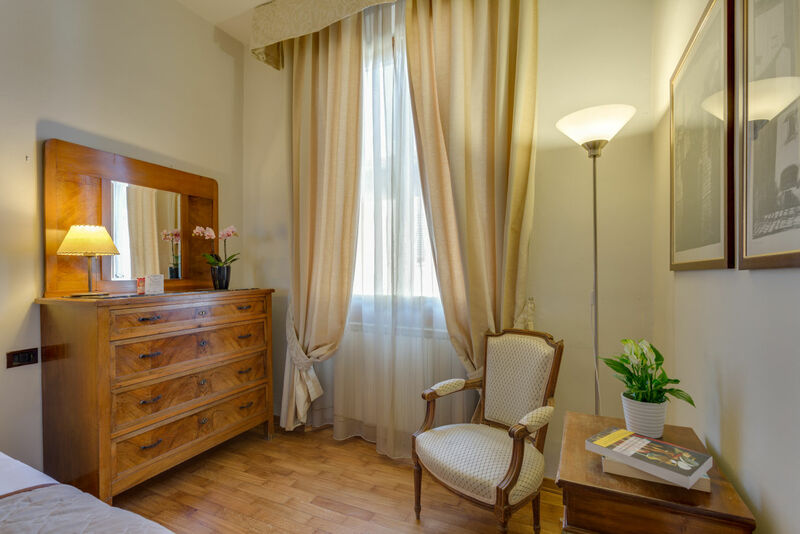 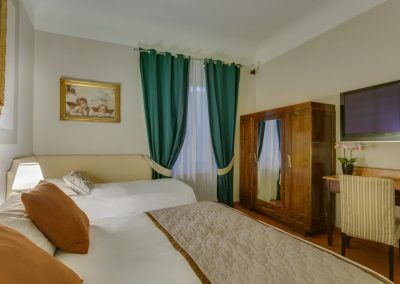 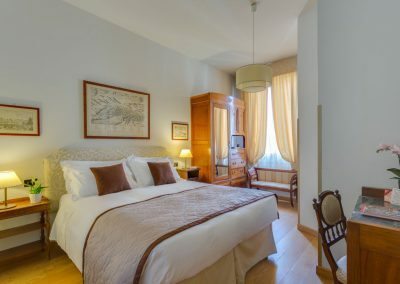 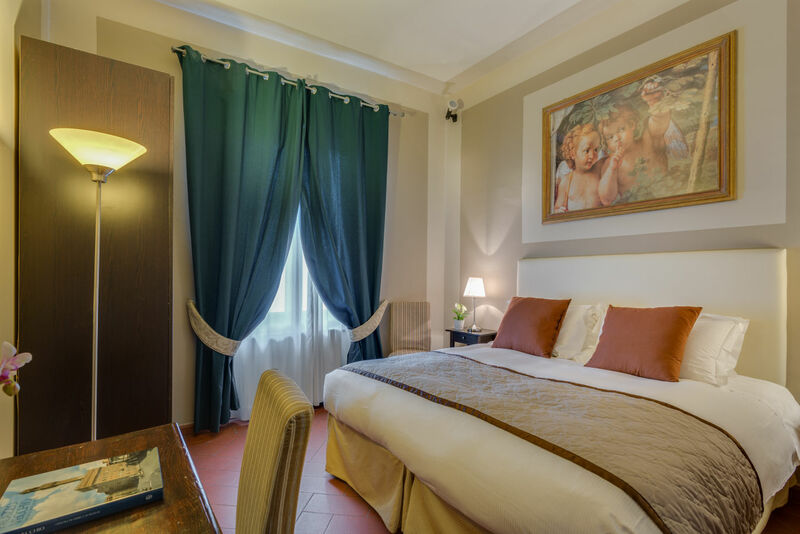 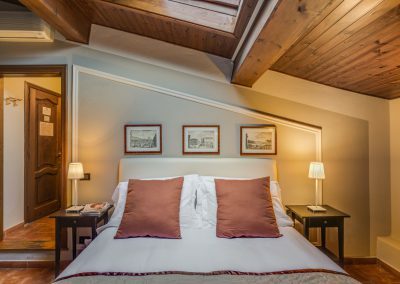 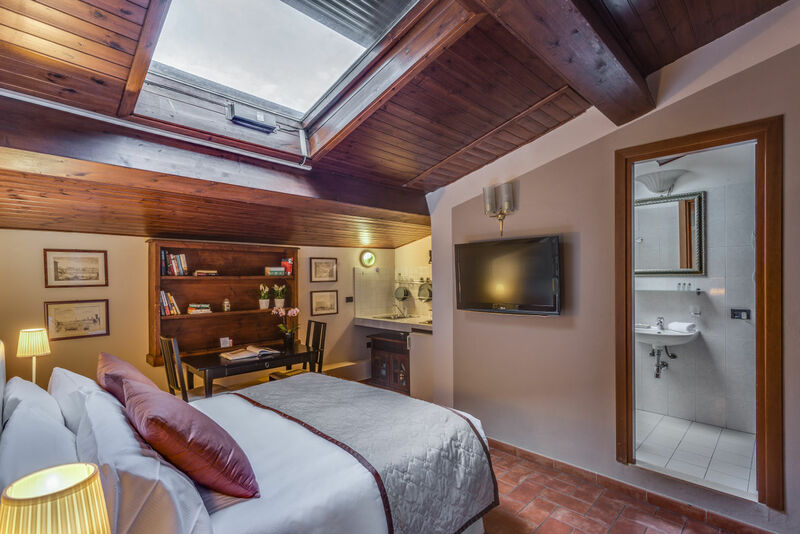 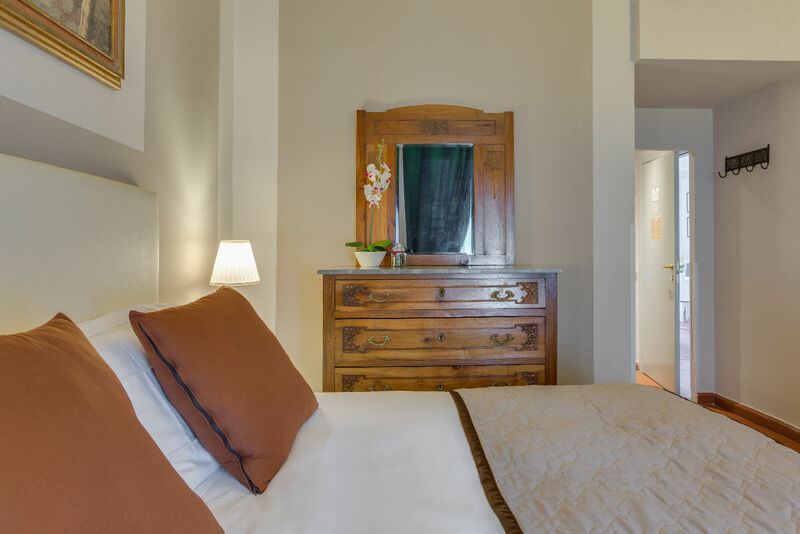 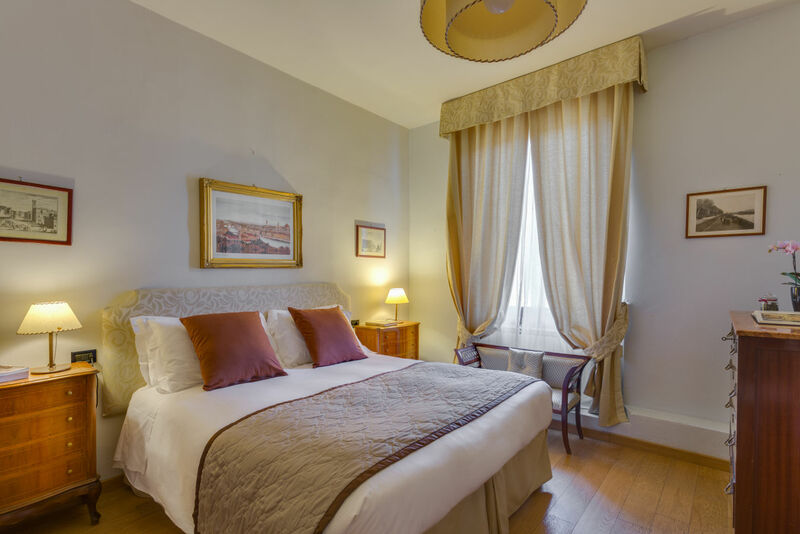 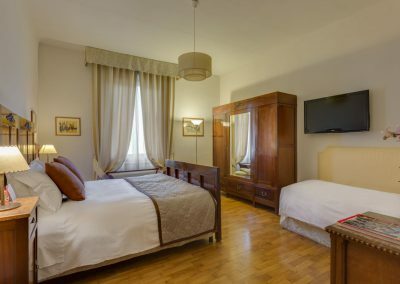 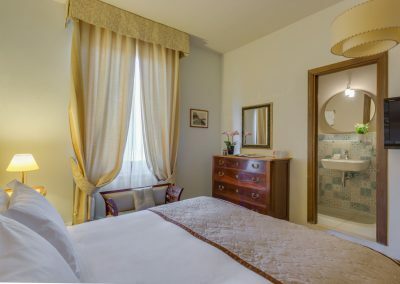 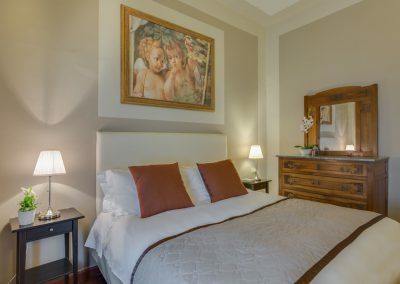 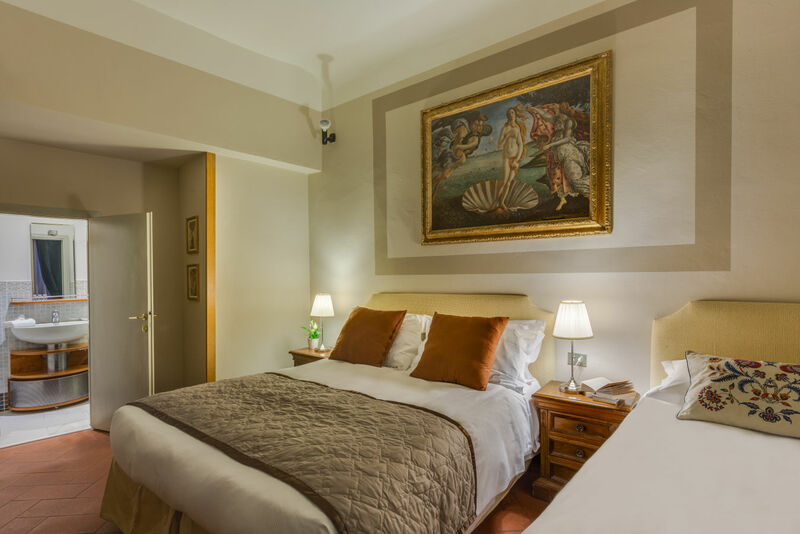 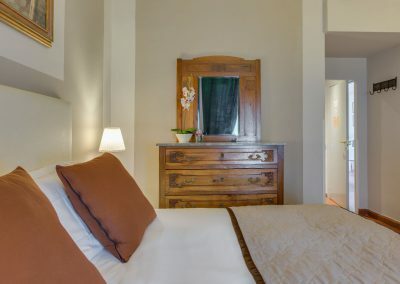 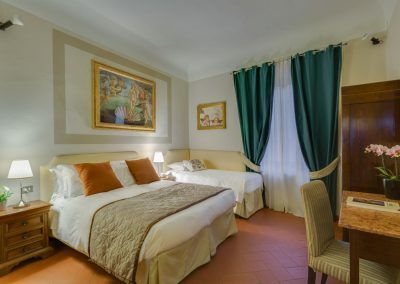 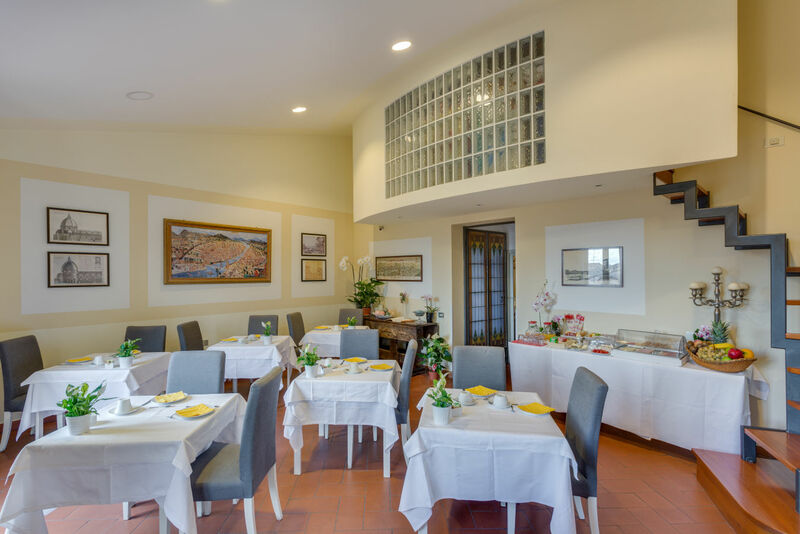 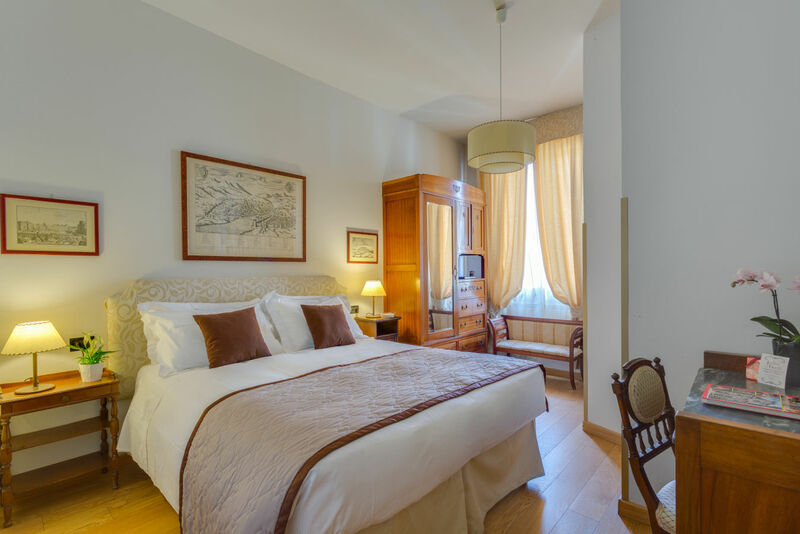 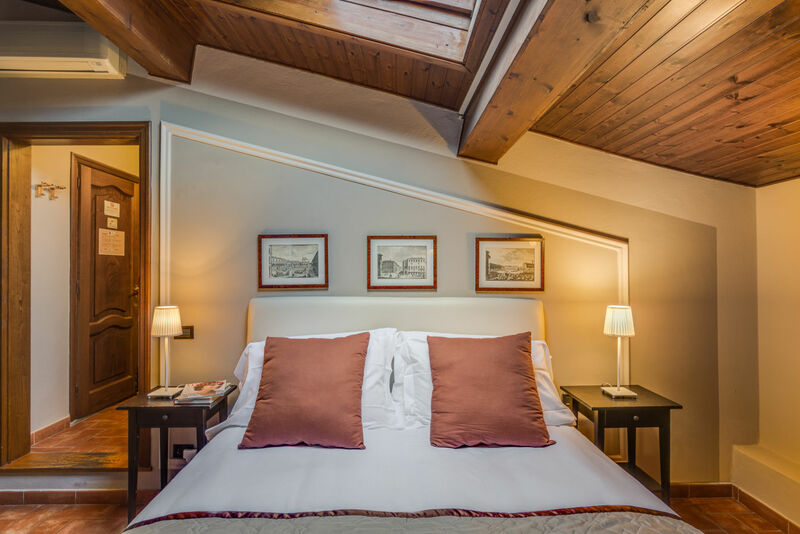 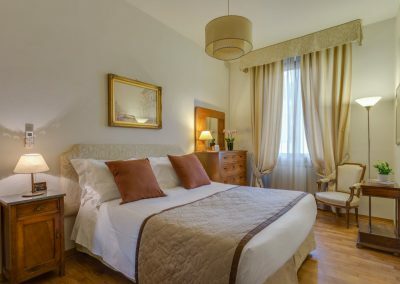 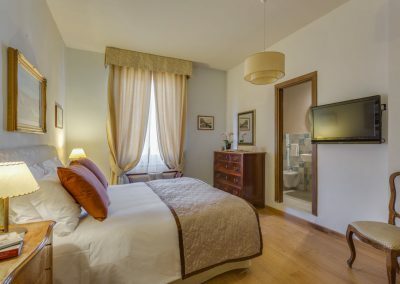 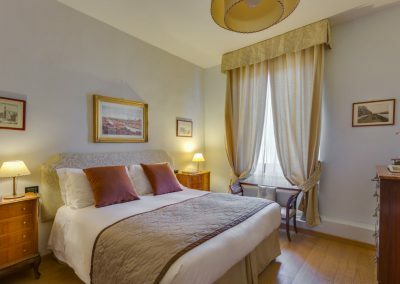 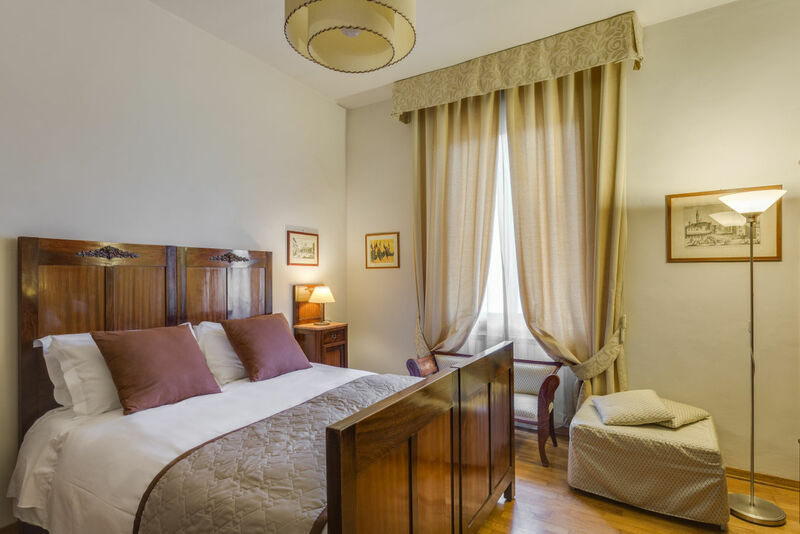 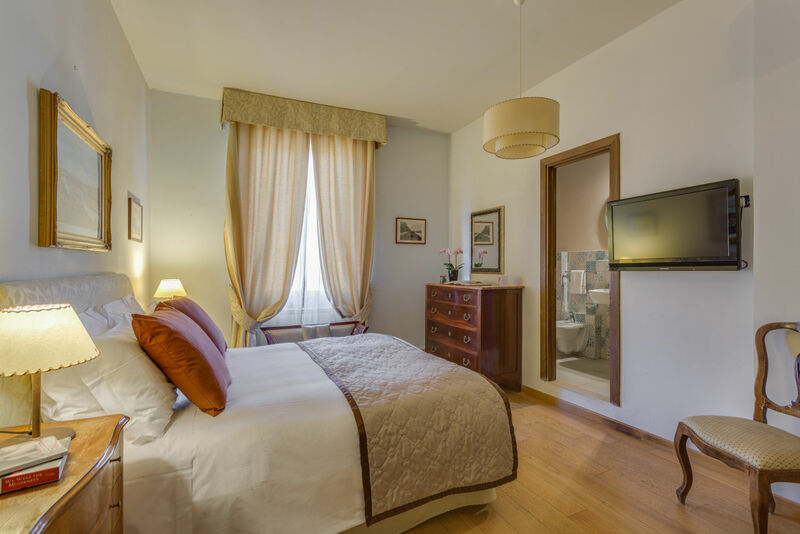 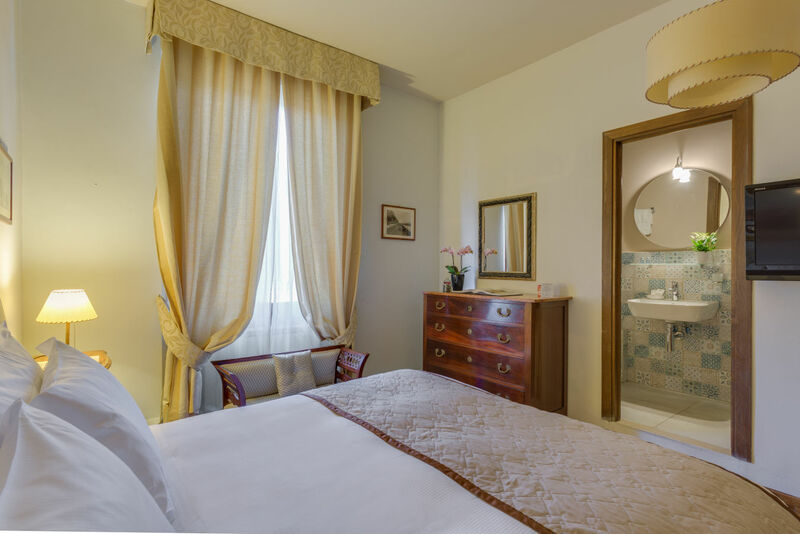 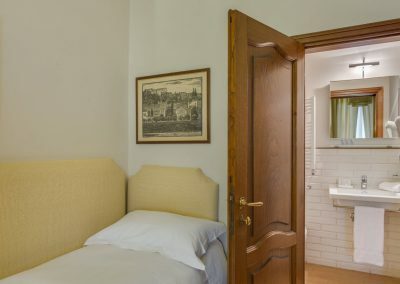 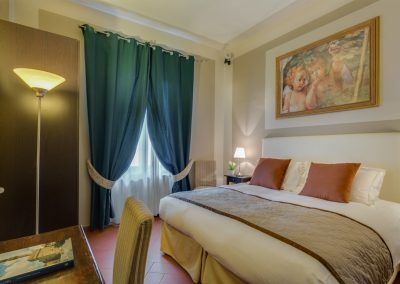 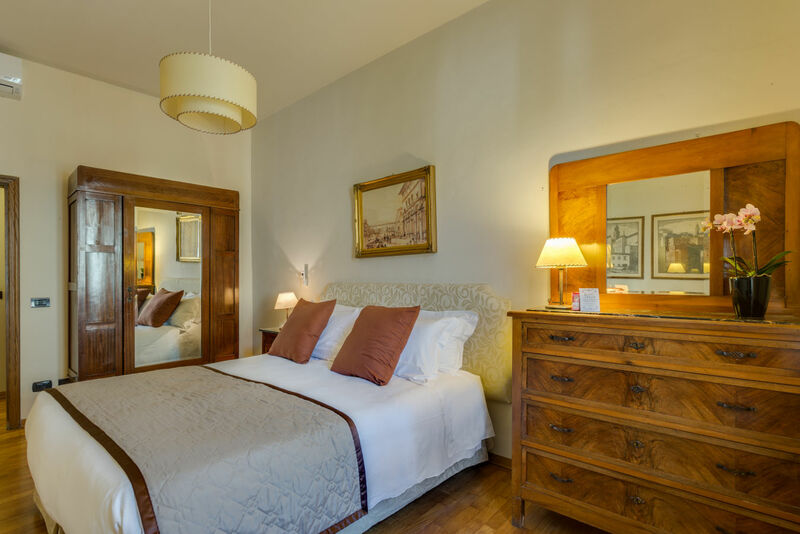 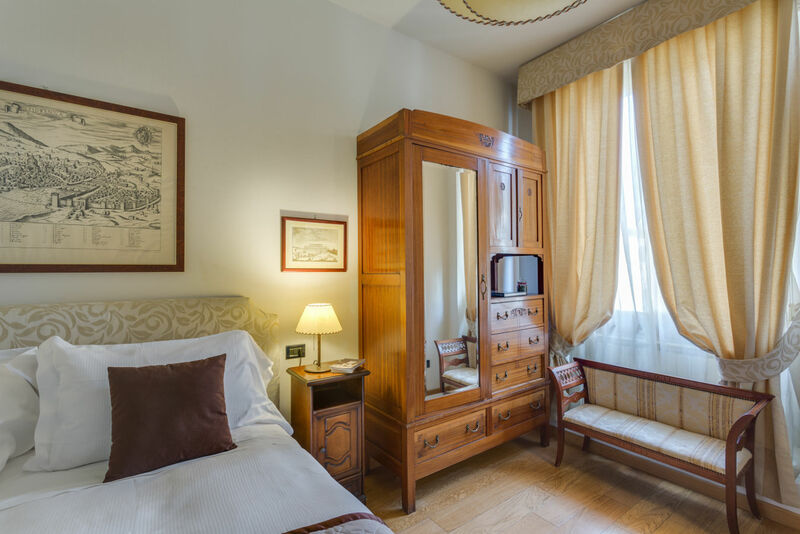 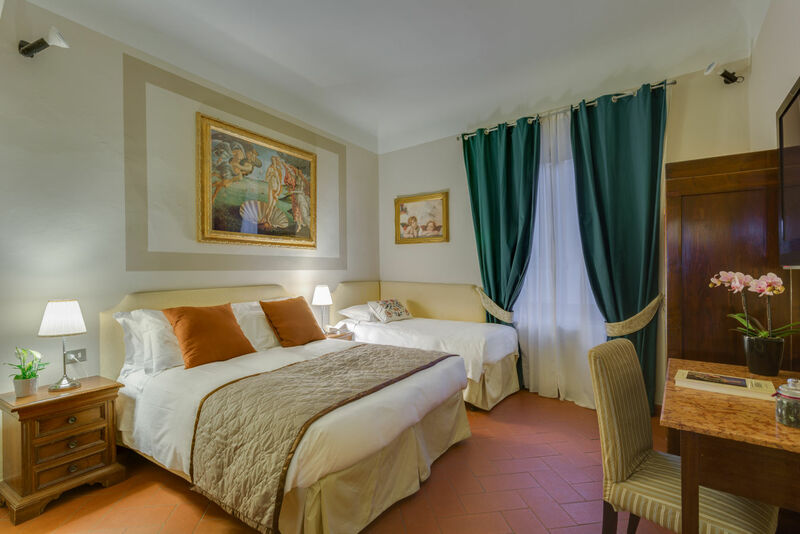 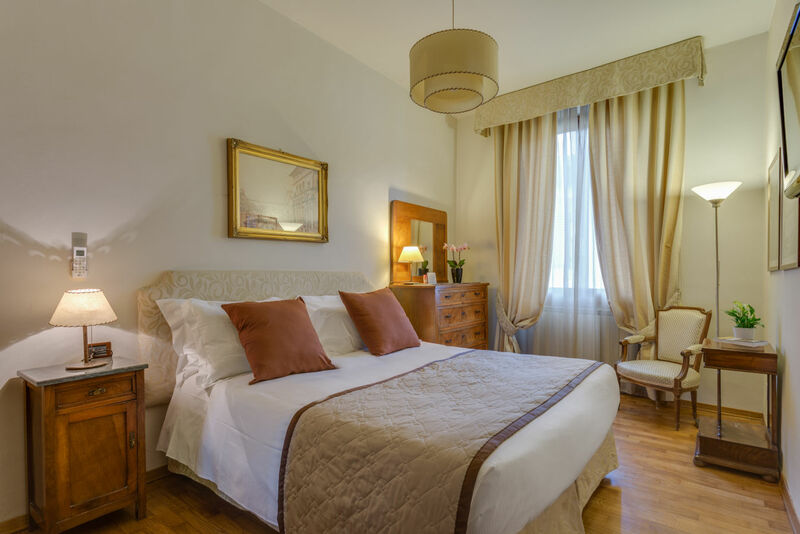 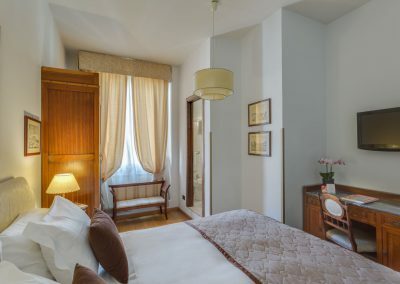 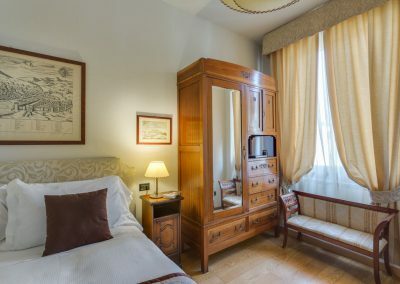 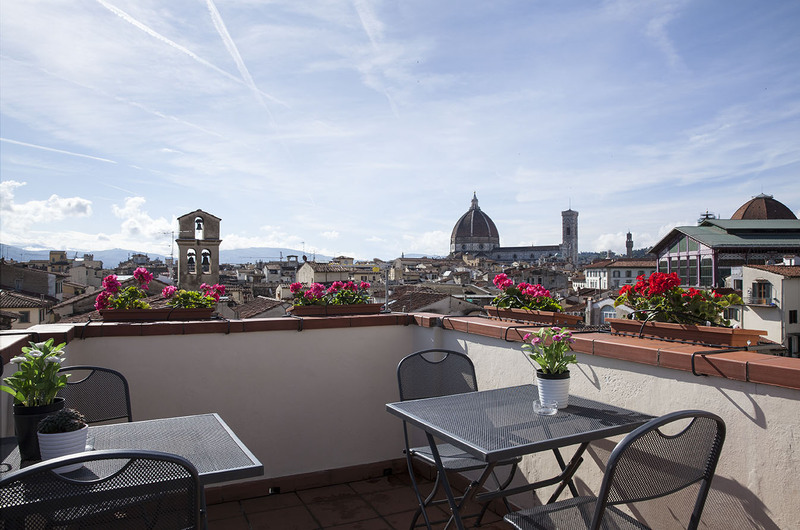 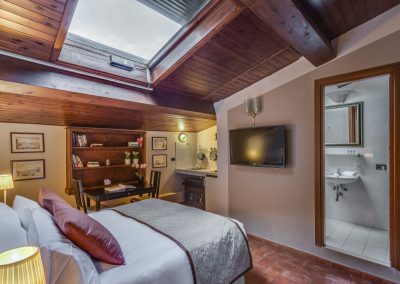 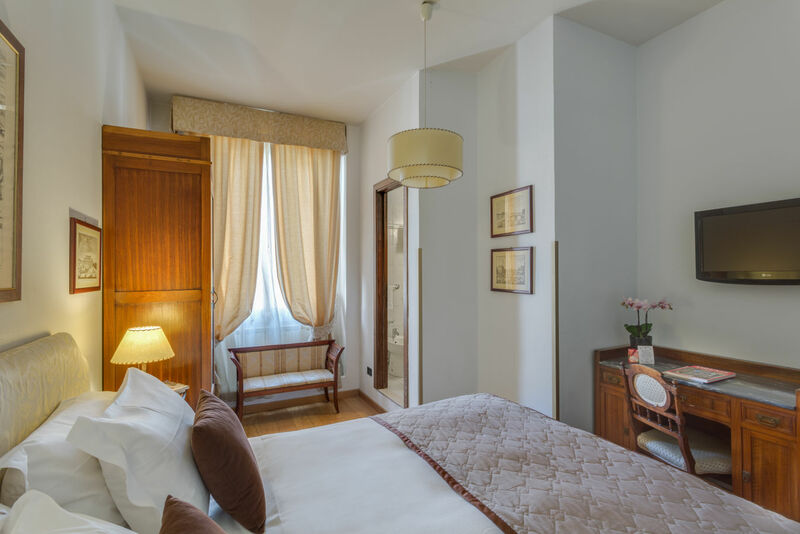 For our guests we thought to combine the essentiality Tuscan style with comfortable beds with double courtesy pillow, furniture cushions and soft duvets, favoring materials such as wood and antique terracotta for the floors and keeping intact the taste of original period furniture.